Use these fun dates in your calendars, planners, journaling, project life pages, hybrid projects and more! A pack of 52 weekly pocket cards, perfect for your hybrid or digital scrapbook pages. The journal cards are seperate saved as PNG files. One of the easiest ways to add continuity to your weekly and monthly pocket pages while using different kits is to pick one consistent item to date your spreads. 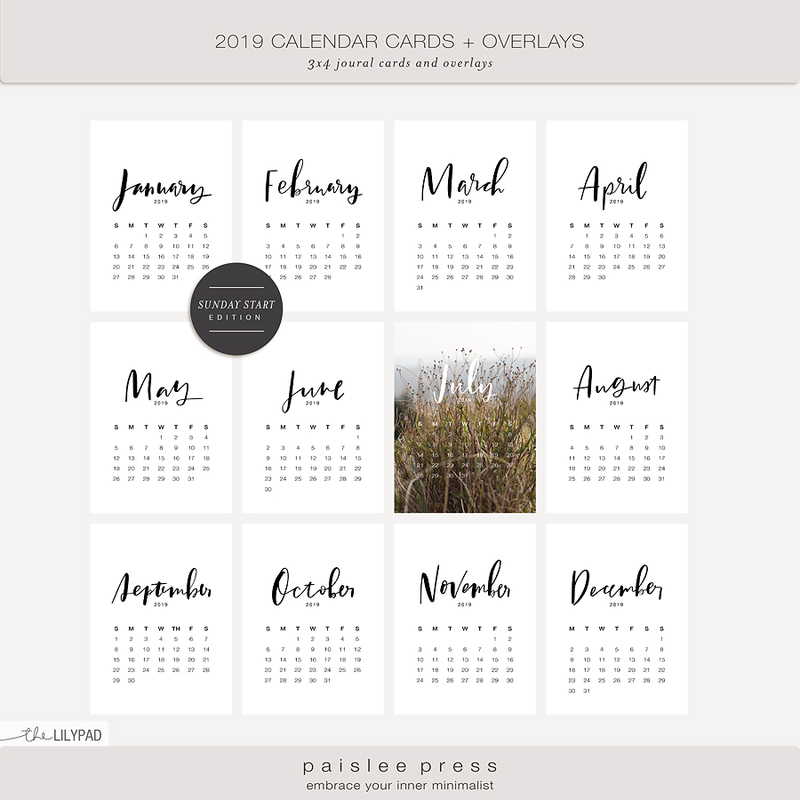 If you are looking for clean, elegant design that would be at home on all styles of scrapping, the pick up my 2019 Calendar Cards! With 4 different styles in both American (Sun-Sat) and European (Mon-Sun) versions, you're sure to always remember when your precious memories took place. Pop them into your favorite pocket style template, or layer them on traditional layouts for an easy way to document your week, month, or your most special family events. 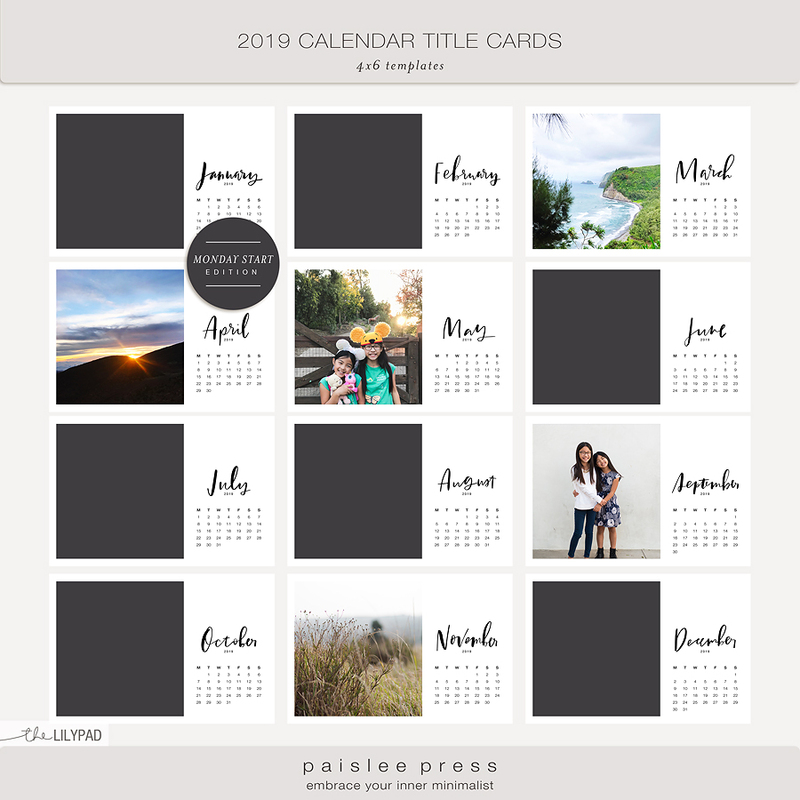 Pack Includes: January - December 2019 (both S-S & M-S) * (24) Calendar Stamp * 84 Cards - (36) 4"x6", (48) 3"x4" in multiple formats: PNG (for home printing), JPEG with bleed (for professional printing) and easy-to-print 8.5x11" PDF print sheets. Also includes each card horizontally & vertically for different pocket orientations. PLEASE CHOOSE THE LANGUAGE (AND START DAY) YOU PREFER BEFORE ADDING THE PRODUCT TO YOUR CART! Grab all 5 calendar packs at a bundle price!! It also includes pdf sheets ready for printing. No photoshop or other software needed! Ready for print 2019 (5x7) Calendar. All 12 months are presented in jpeg with or without bleed print mark. Individual pngs files also included. All created at 300 dpi for a hight quality print. Thank you for your purchase and happy scrapping! Pack contents (12) 6x4 templates with 12 Months of the Year. All saved in .psd, .tiff and .png file formats. All individual month files are presented in .jpeg and .png* and created at 300 dpi for a hight quality print. *pdf sheets with all cards also included. This set of 4x6 Calendar Title Cards is ideal for pocket page scrapbooking projects! 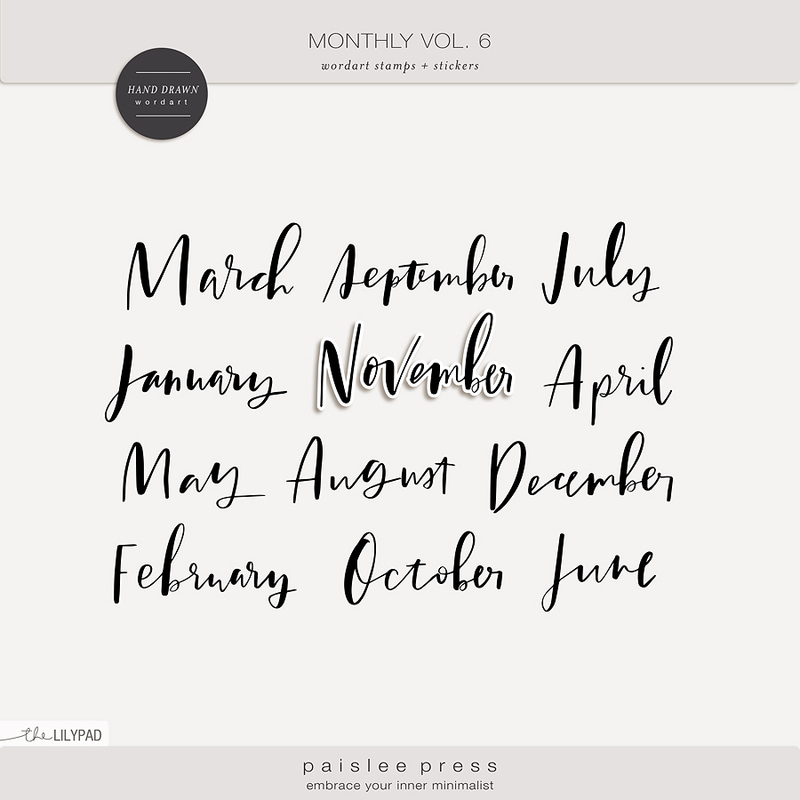 The layered templates include two different clipping mask options, calendar stamps and hand drawn months are in separate layers for easy recoloring. 1 Ready to Print PDF file - no photoshop required! * there's a bleed print mark on all individual pngs. Here are double page December Planner Templates in three sizes (12x12, 8.5x11, and 6x8). 2018 and 2019 calendar grids are included. You can print these out as a hybrid planner, or you can use them as a fun way to document your memories. There is a full calendar grid that spans the inner margin where you can drop in photos or journaling for each day. There is an area on the right side for a large feature photo and a list of highlights.